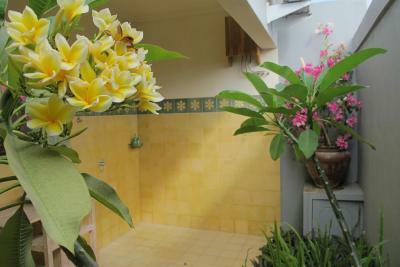 Lock in a great price for Bukit Indah Boutique Accommodation – rated 9.5 by recent guests! From the staff to the rooms to the location, Bukit Indah is a wonderful place to “call home” when visiting Selong Belanak. 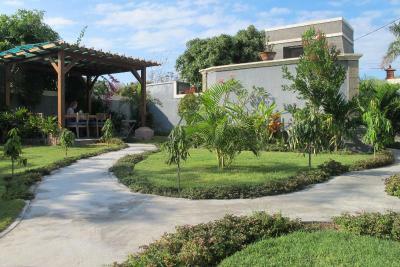 I especially liked breakfast in the garden and lounging on my room’s front patio, just reading and relaxing. And, the world’s most beautiful beach is just a short walk away! Love it! Very friendly people from the owner to the breakfast boys. Totally recommendation to stay there and we will come back. The restaurant beside serves the best food we had on our trip in lombok. Everything about this place was perfect. 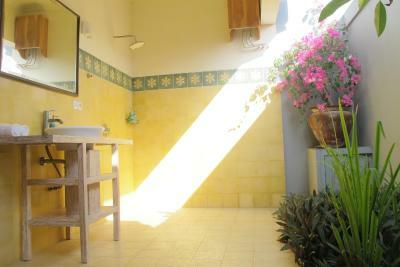 The rooms are beautiful and clean, the property is peaceful and well-mantained and the staff was wonderful. Having breakfast on the porch each morning was such a treat. Only about 10 minutes walk to the beach, which is very "Lombok" but still beautiful. The restaurant next door is delicious. We loved everything. Excellent value. The hotel staffs are super friendly. Always smiling, helping us whenever we have some requests. Special thanks to the driver, Amri and the manager, Purna, who made our stay extremely pleasant. The hotel is stylish. Room is clean and spacious. I will recommend anyone to stay. Staff was incredibly friendly, and the owner was around when we stayed and she was very helpful. She gave us some tips for our trip, and gave us a ride to the ATM in the area and made sure it worked for us. Beautiful furnishings. Food was phenomenal including the restaurant next to the hotel. Appreciated the mineral water in the room. Loved being within walking distance to the beach, which was a beautiful beach! Used their driver for airport pick-up and to go to a couple area beaches and that went smoothly. This place was amazing! The room was large and comfy,the staff friendly and helpful, Karen was so lovely and kind. It was close enough to the beach to walk. And the breakfasts were such a great...the ricotta pancake was a dream! 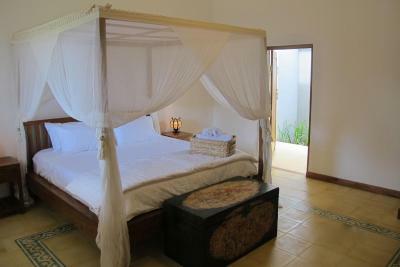 I would love to come back and definitely recommend it for solo or couples...just perfect! There are only 4 rooms within the property and it feels very homey. The location is just a short walk to the very beautiful Selong Belanak beach. The owners and staffs were very friendly. There's a variety of breakfast and they have recently established their own restaurant beside it. This is very helpful considering how there are very few other restaurants where we can look for food. WiFi available. Car drop available on request for going to the beach. Spacious bedroom and bathroom. 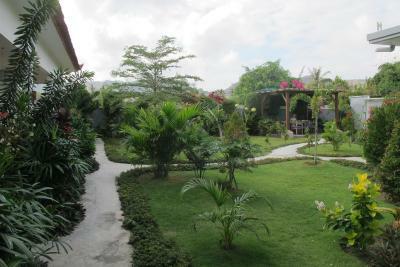 Staff are great but too humble to admit that Trip Advisor has ranked them among the 25 best accomodations in Indonesia. Service, breakfast, quiet room, scooter. Did I mention breakfast? Featuring free WiFi, Bukit Indah Boutique Accommodations offers accommodations a 10-minute walk from Selong Belanak Beach. Free private parking is available on site. The bed and breakfast also offers free use of bicycles. 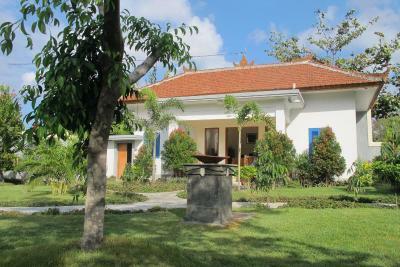 Mataram is 21 mi from Bukit Indah Boutique Accommodations, while Senggigi is 27 mi away. 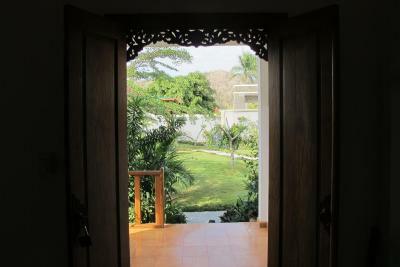 The nearest airport is Lombok International Airport, 11 mi from the property. 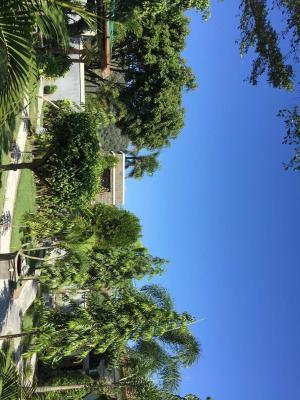 This property also has one of the top-rated locations in Selong Belanak! Guests are happier about it compared to other properties in the area. This property is also rated for the best value in Selong Belanak! Guests are getting more for their money when compared to other properties in this city. When would you like to stay at Bukit Indah Boutique Accommodation? 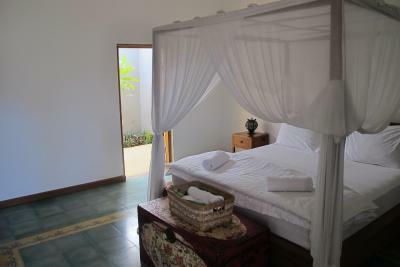 Situated around 700 metres along the main road leading to Selong Belanak Beach Bukit Indah is a small and very private bed and breakfast, with only 4 rooms we can provide personal attention to all our guests. 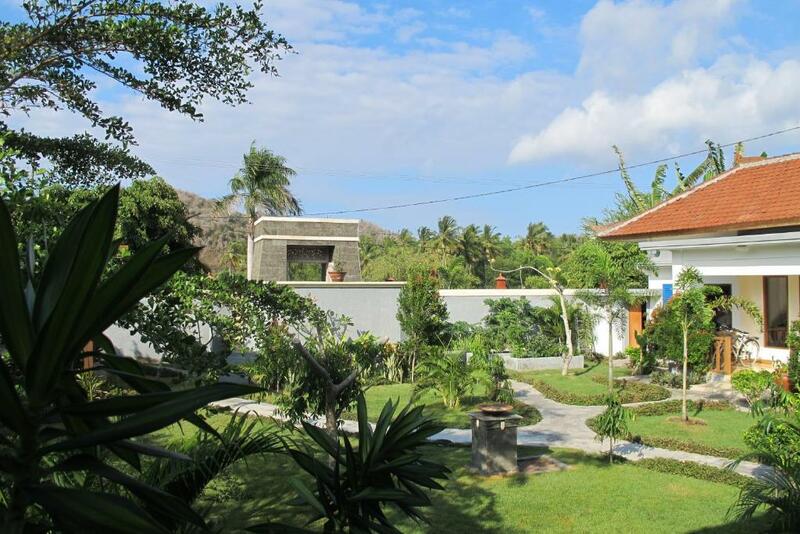 Our lush garden and attention to detail in the rooms offer guests a peaceful and comfortable space to relax and enjoy the beautiful area around South Lombok. All our staff come from the immediate area around the accommodation and are always willing to assist guests with any requests. 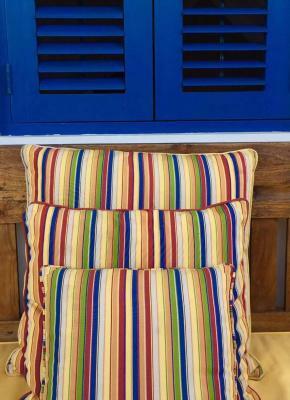 House Rules Bukit Indah Boutique Accommodation takes special requests – add in the next step! All children under 2 years are charged IDR 150 per night in a crib. All children under 12 years are charged IDR 150000 per night for extra beds. Any additional older children or adults are charged IDR 150000 per night for extra beds. Bukit Indah Boutique Accommodation accepts these cards and reserves the right to temporarily hold an amount prior to arrival. The place is on a busy noisy road, next to a restaurant playing music loudly. The heavy rain, but that is not Bukit Indah's fault. So, it was really nice. The owner and the manager of hotel provide as with all essential things! It was extrimaly friendly. By the way - next door the best restaurant by the same owner, the dishes was exelent, staff very friendly. Great breakfast, hot shower and comfortable room. Bathroom is outside but you have total privacy. It feels strange at first, but the surrounds and the tranquility makes you feel at ease. Breakfast is traditional indonesian that is really tasty. 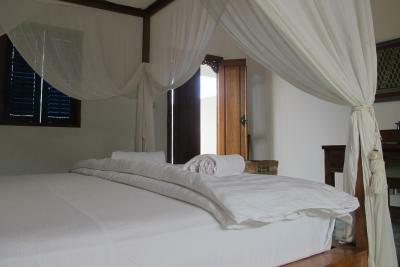 Room is very big and it comes with your own private balcony overlooking a beautiful garden. Would definitely stay there again. There is nothing we seriously need to criticize, but there is always a little room for further improvement: Even though the breakfast was pretty great, I would have loved pancakes (what can I say, I love pancakes) and the bikes could use some maintenance. Also, it would have been convenient if it was possible to put expenses at Kampung café on the room bill (I think we went there 8 or 9 times during our stay). From our pick up at the airport to our departure everything was perfect. The room was extremely comfortable, spacious, and quiet at night, so we slept very well (no loud traffic or animal noises etc.). Every morning we looked forward to breakfast. We especially liked the freshky baked bread and coffee (only accommodation on our trip that served good café latte or cappuccino for breakfast!). Selong belanak is the nicest beach we've seen on Lombok and with the bikes it's a 3 minute ride max. There is a nice spa a few hundred meters down the road and a few restaurants in walking distance, too. The staff scheduled a massage for me and the spa would even pick up guests from Bukit Indah if desired (was unnecessary for me since it is only 2 minutes away). We found the restaurant next door (Kampung café) to be the best in the area which was, of course, convenient. The prices for a day trip and for the mini bar were very reasonable and we got free refills of our water bottles. The staff was lovely altogether, always helpful and responsive. Bukit Indah was one of the most relaxing places we have ever stayed at and we will definitely come back if we return to Lombok. It was by far the best place we stayed in all of Lombok. The staff is amazing and helped us out whenever we asked for anything! Beautiful room and great food! Nothing, except we had to leave. Best breakfast we had the whole trip, you can choose between different meals plus a bowl of fresh fruits, tasty jam and bread rolls. Free water refill for water jug in the room and your bottles. Café/restaurant next door were you get very tasty and fresh food (and nice little extras like bamboo-straws instead of plastic ones). Book swap inside and a little "shop" where you can get handcrafted bags, clothes (and other stuff) supporting local young designers and a womens collective. Very nice and helpful staff. There's always someone there to help you out - even at night. Walking distance from nice beach. Easy to rent a scooter if you want to check out the surrounding. 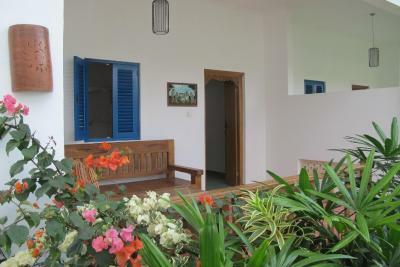 Beautiful accomodation, awesome outdoor bathroom, comfortable large bed, well working and quiet AC, large terrace and a cute cat included. ;) Karen (the australian owner) and Purna (the manager) are not only running a great accomodation but also are doing great work in the community. Like a Clean-your-beach-day, collecting money to get a pet-vet from Bali here to neuter the wild dogs running around and getting some kind of recycling started in the village! Loved the staff. Loved the location. Loved the breakfasts. Loved the room. Could not have asked for anything more. From first communication, to the airport drop off, everything was wonderful. Highly recommend!